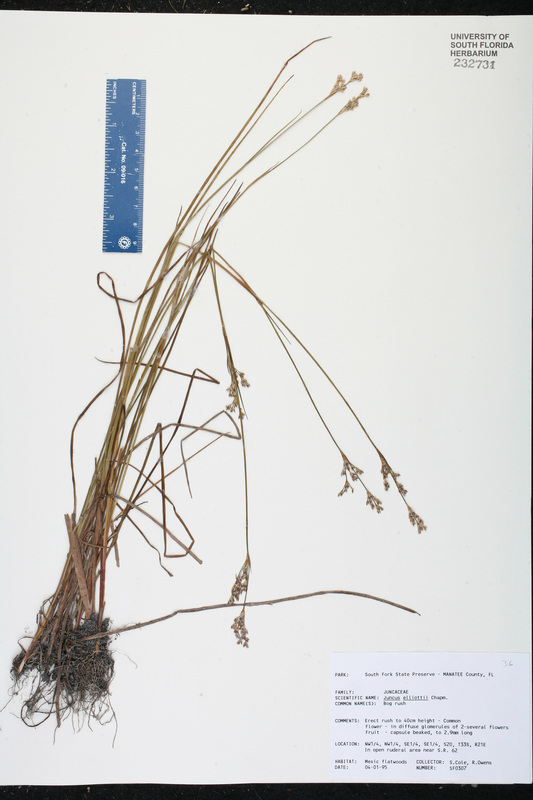 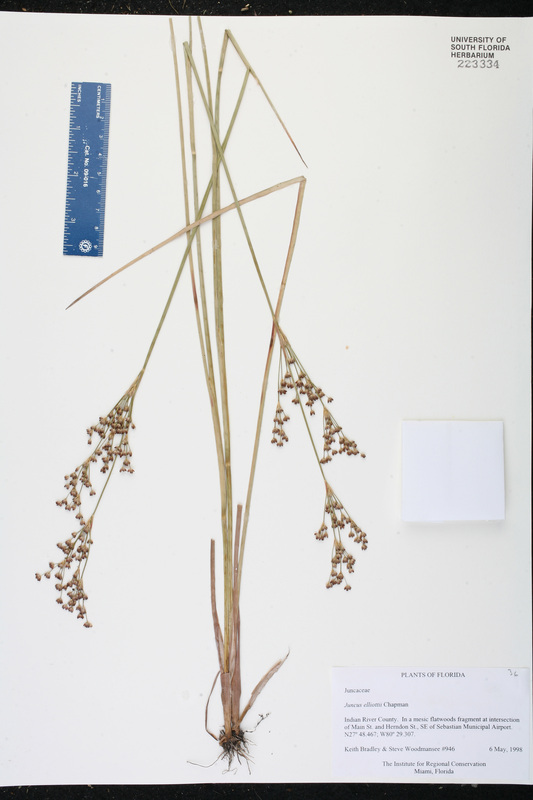 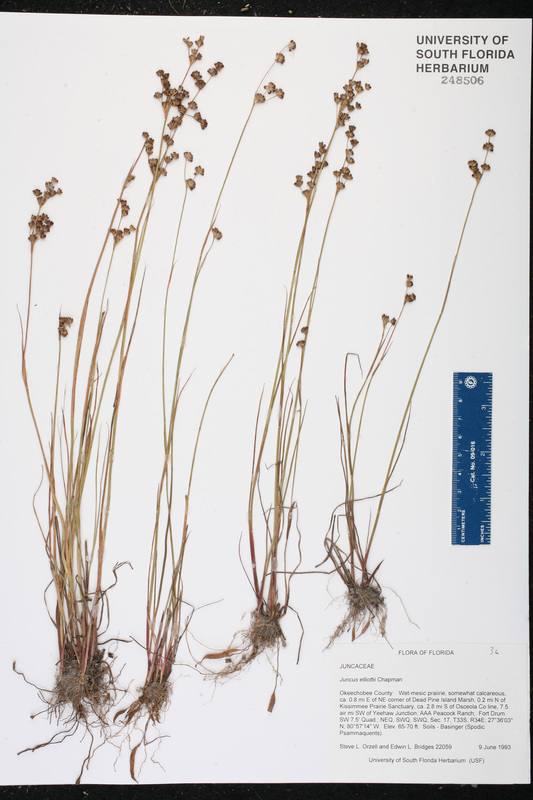 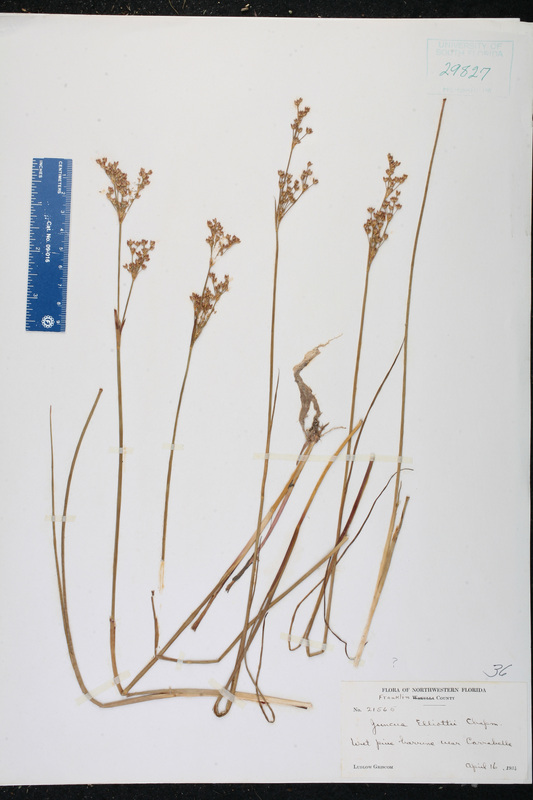 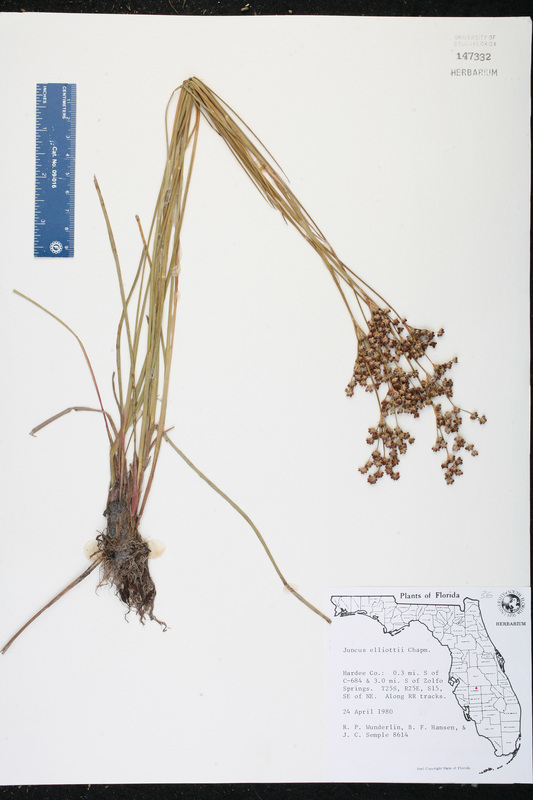 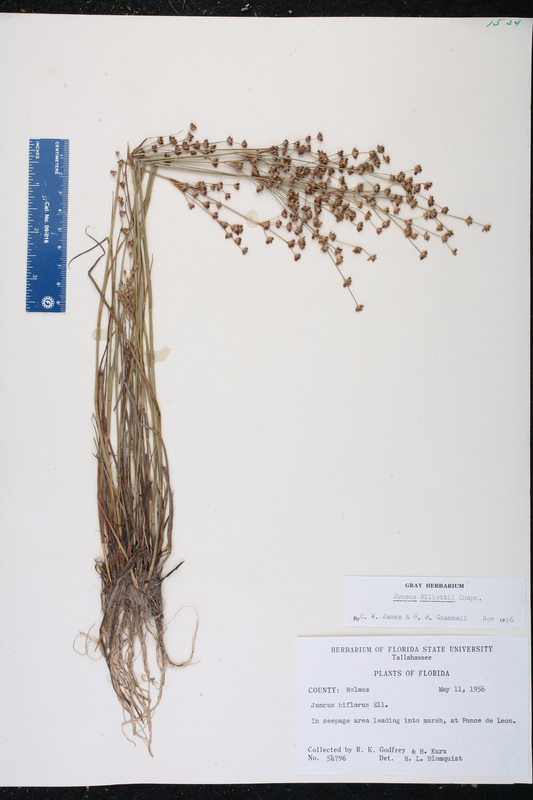 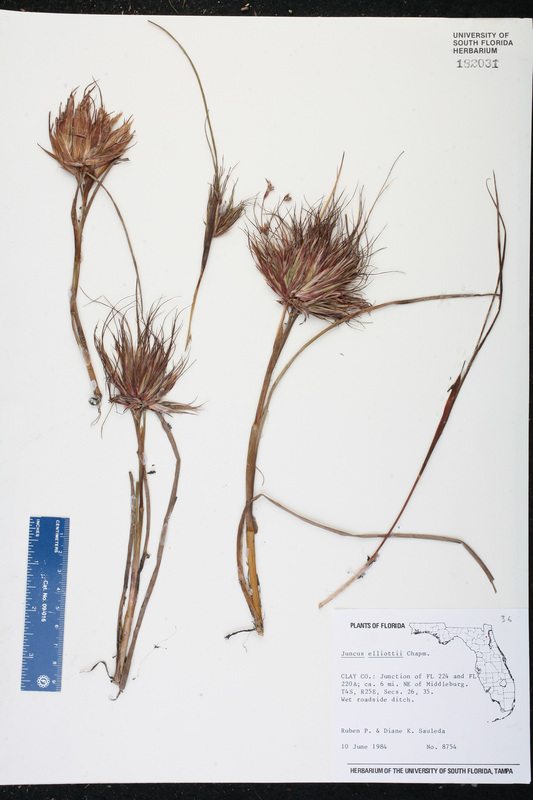 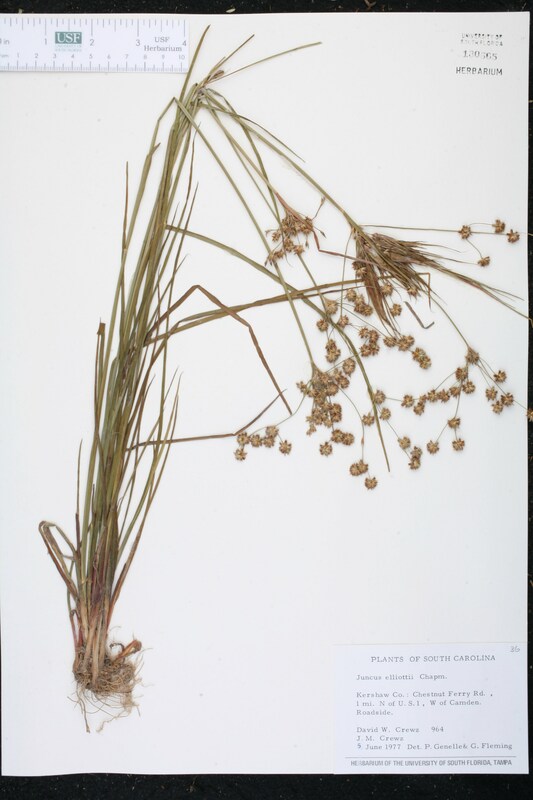 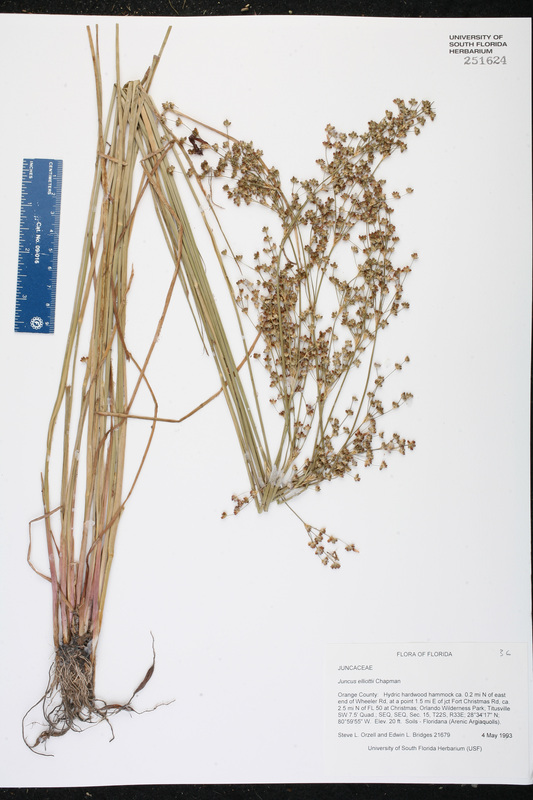 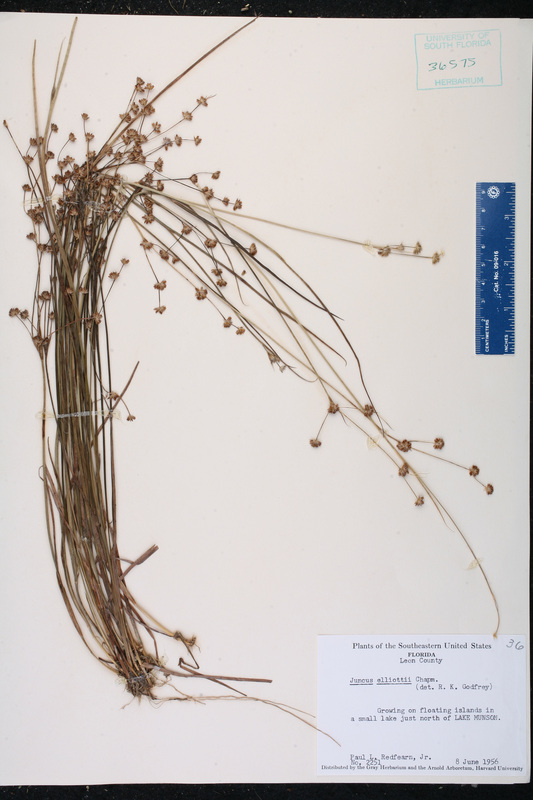 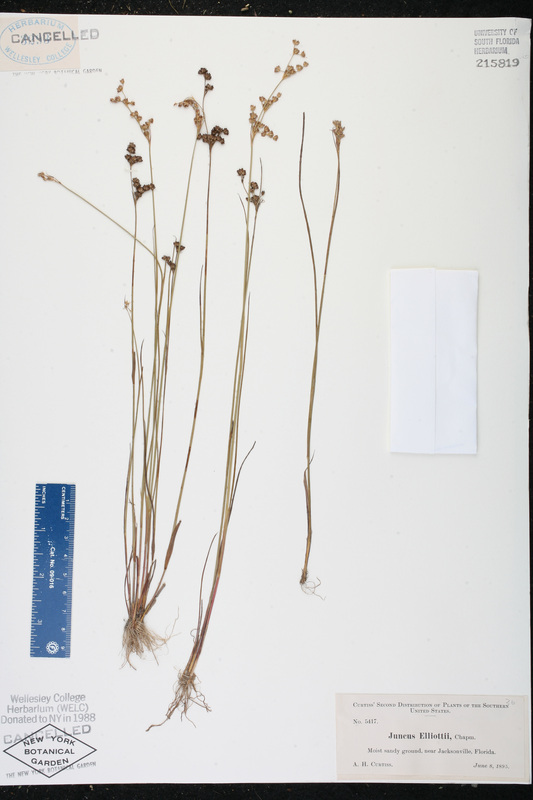 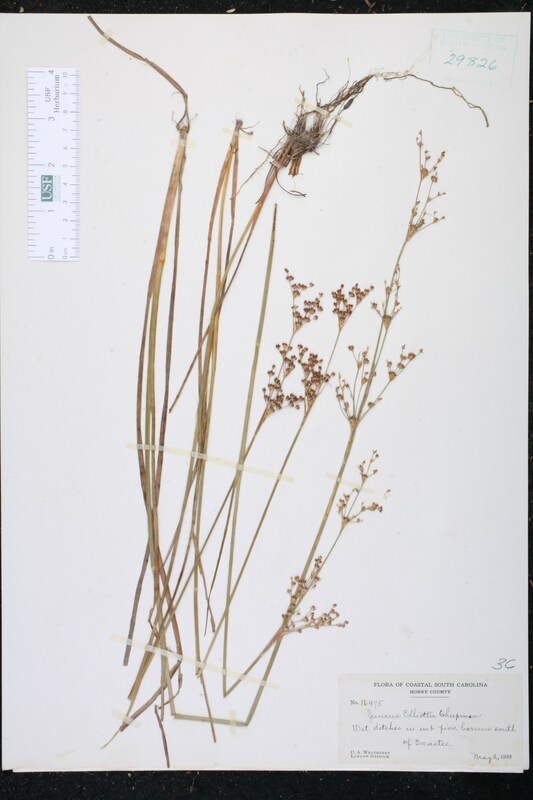 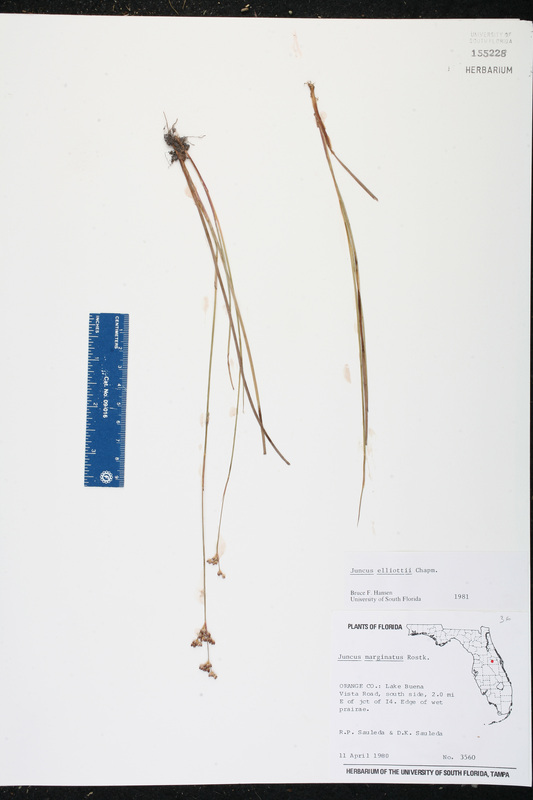 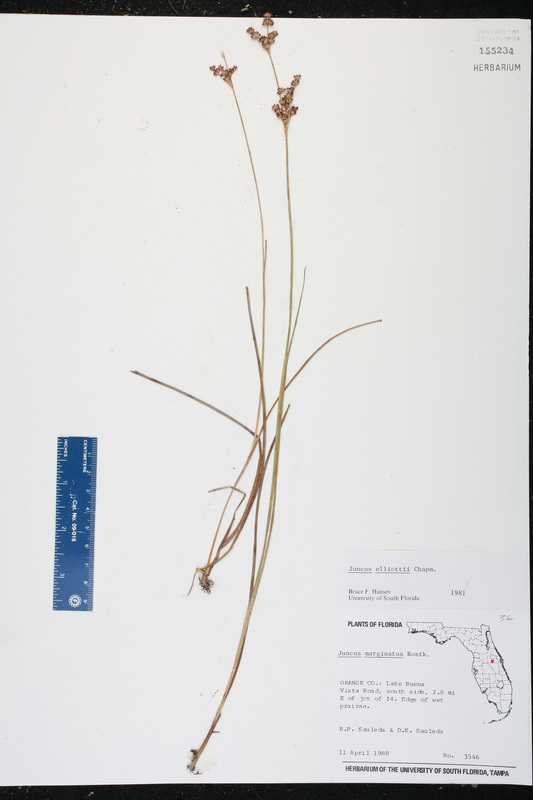 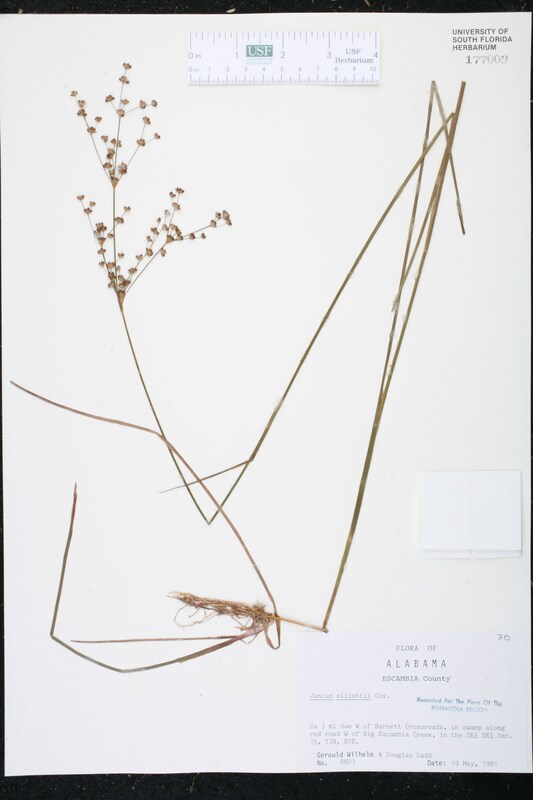 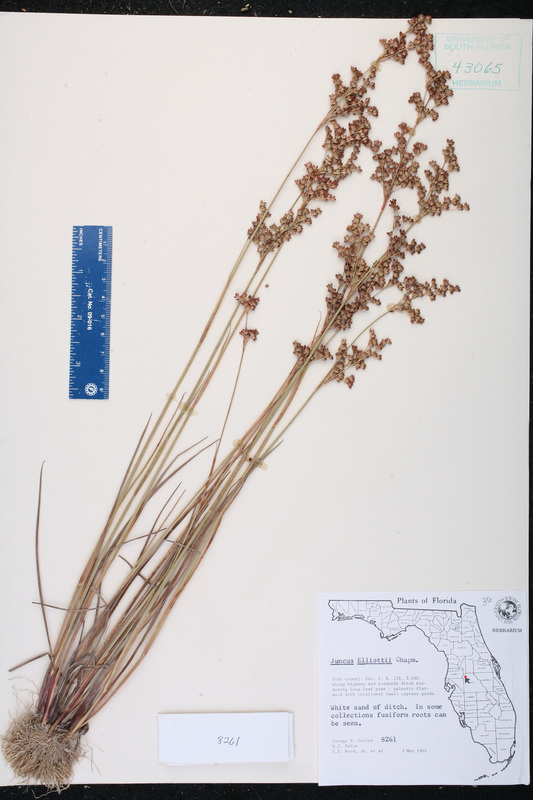 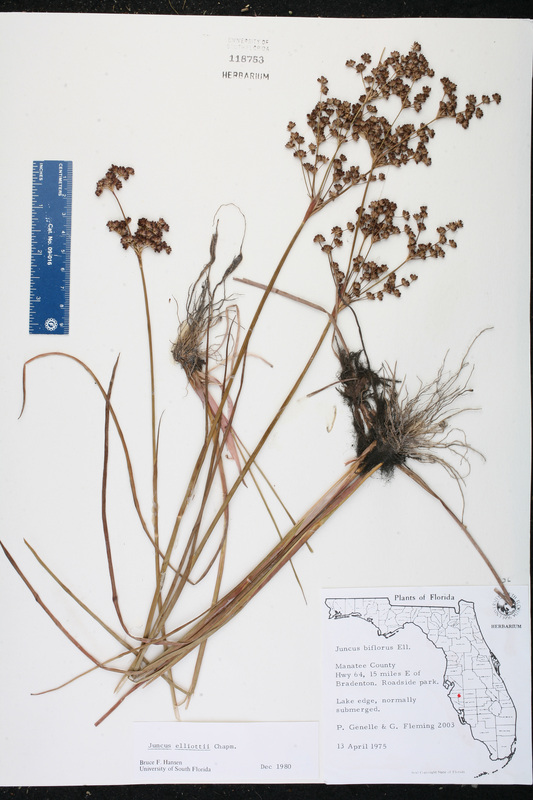 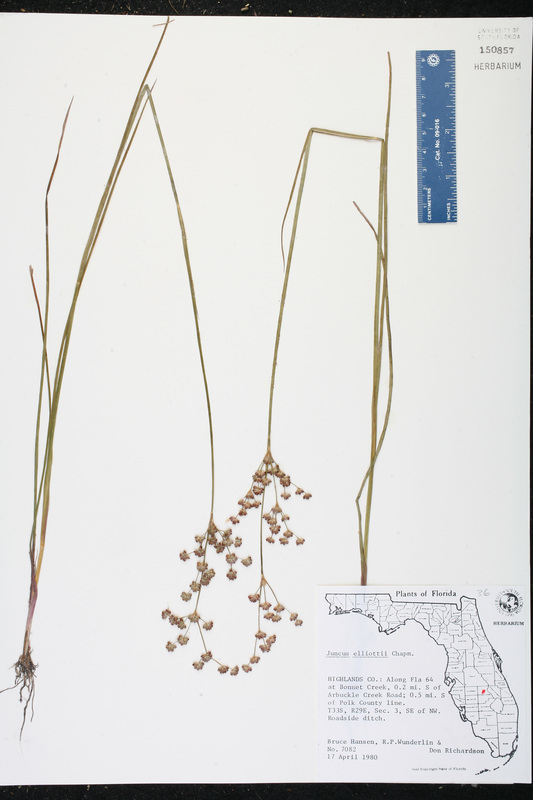 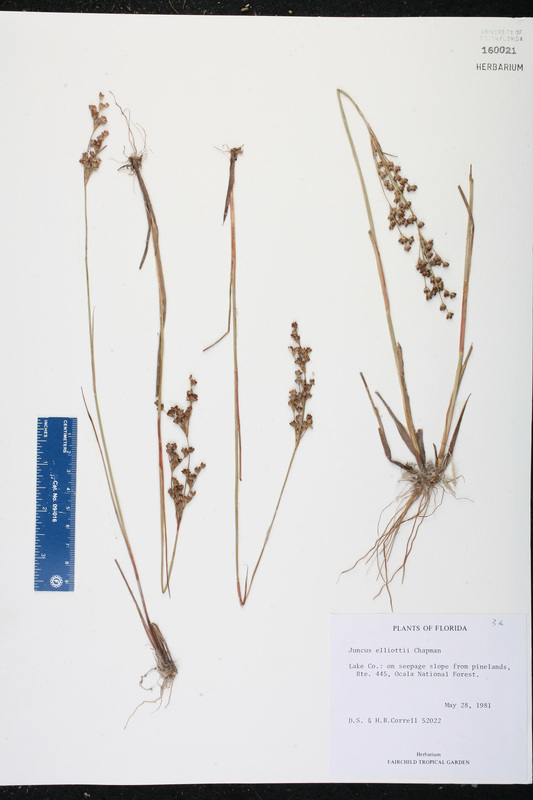 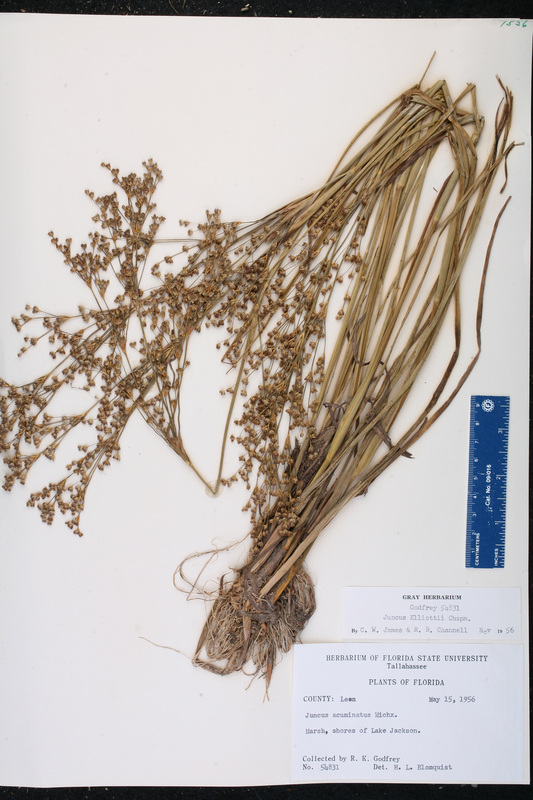 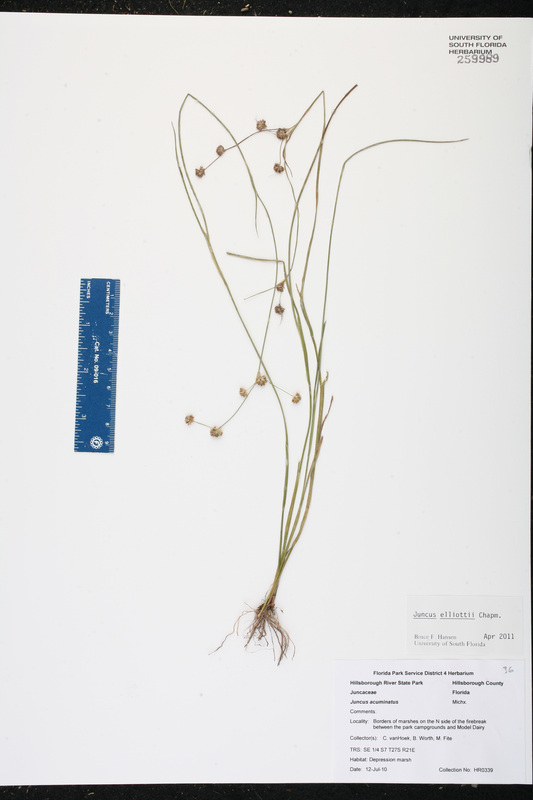 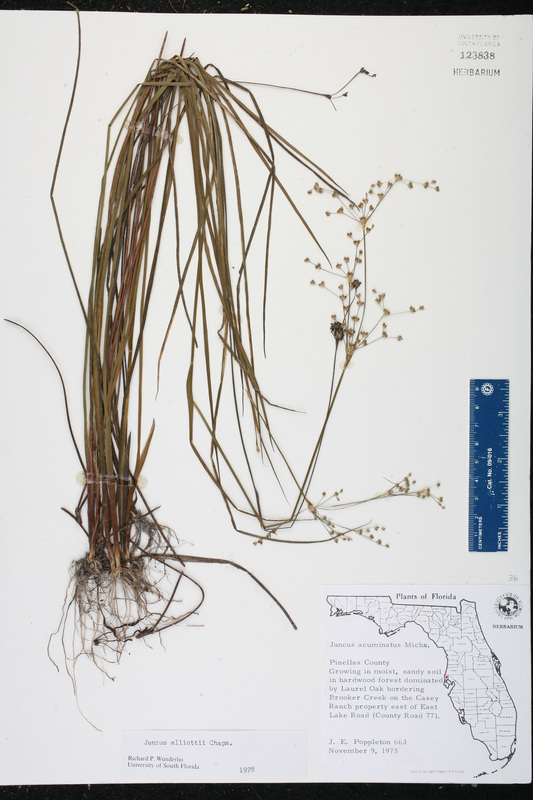 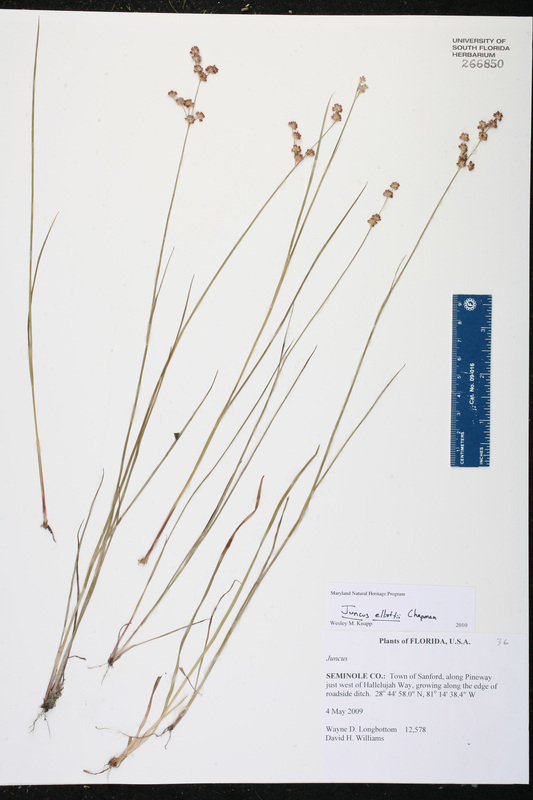 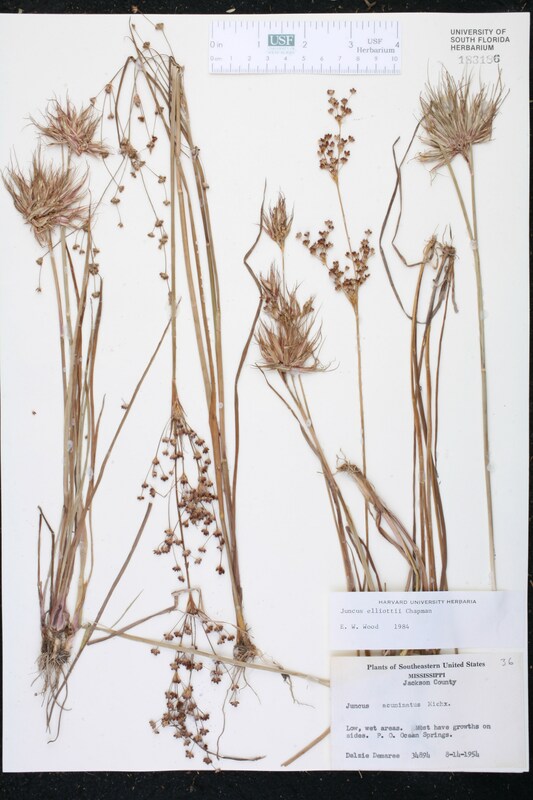 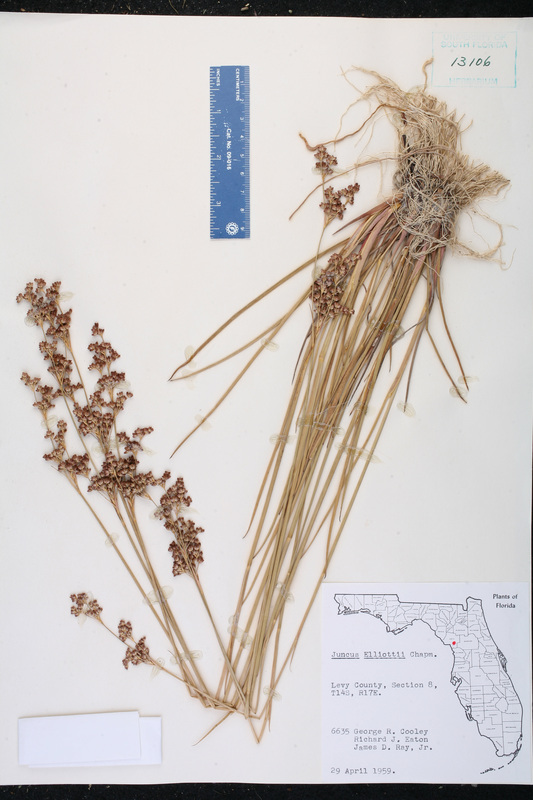 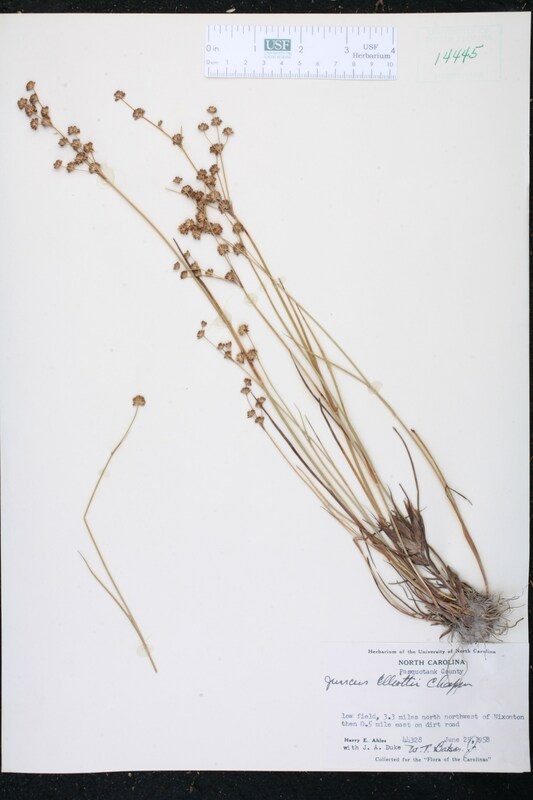 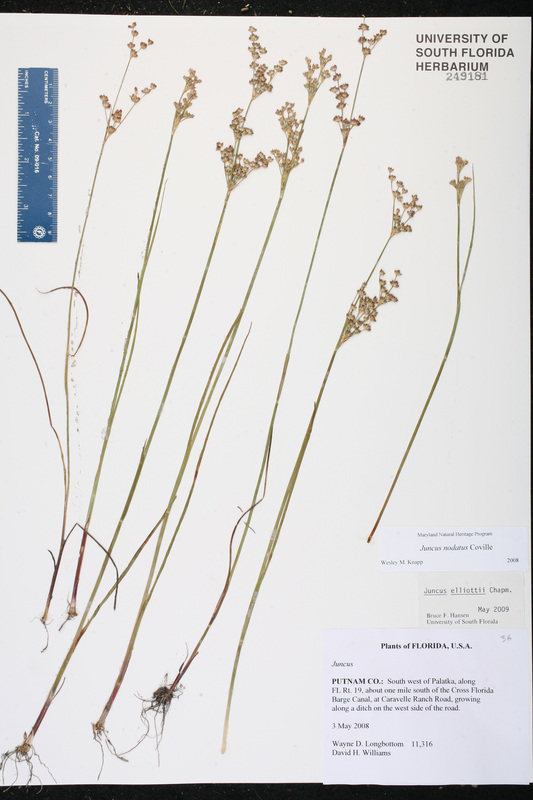 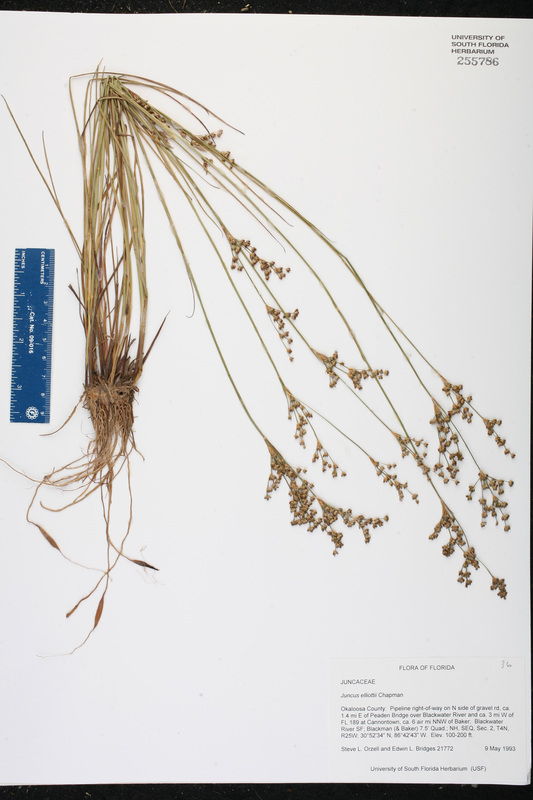 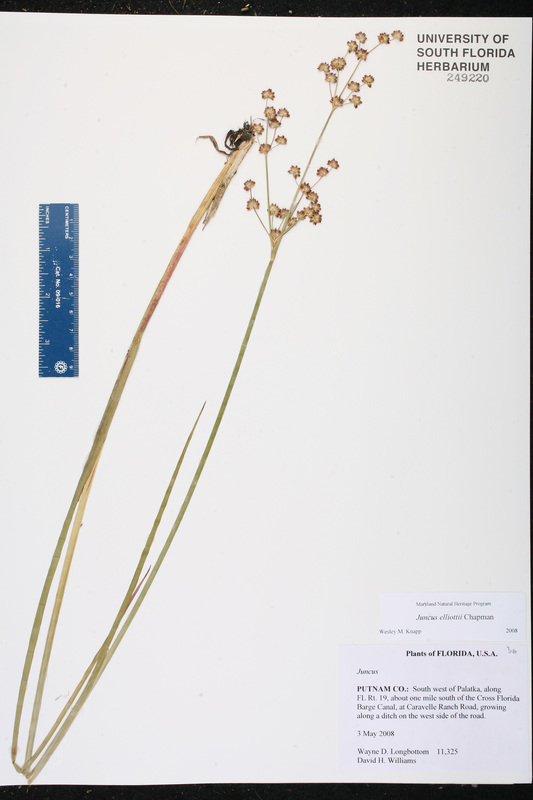 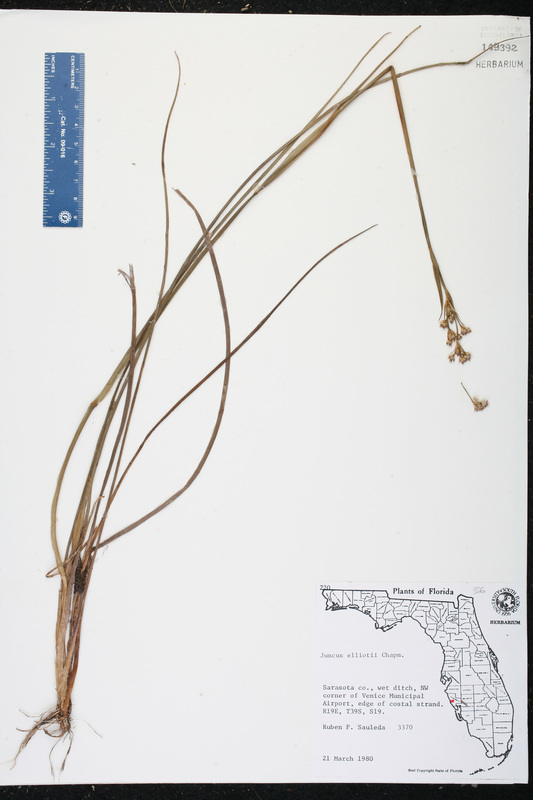 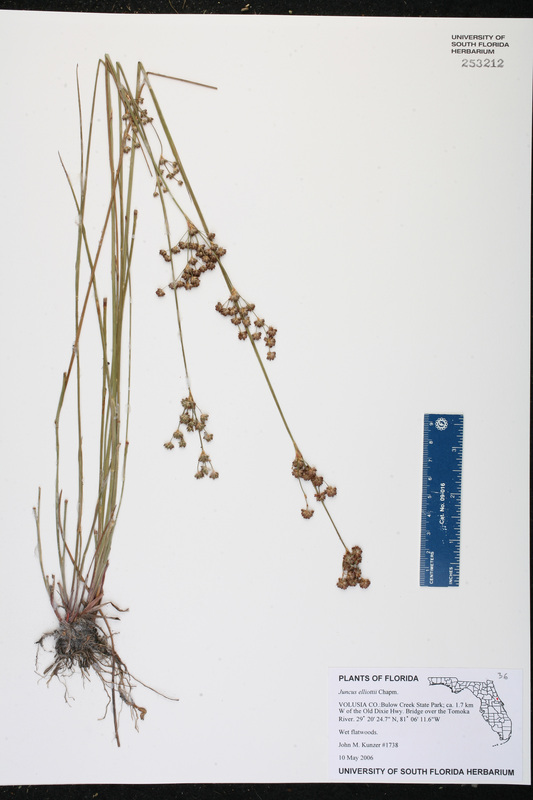 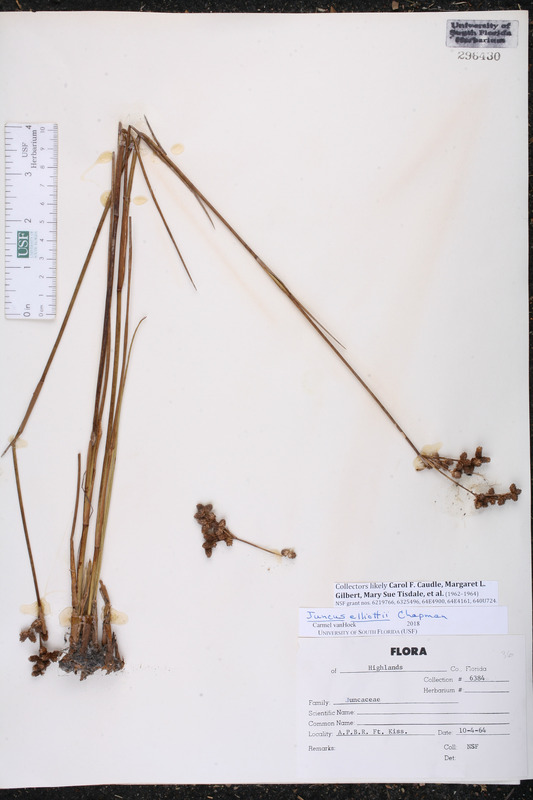 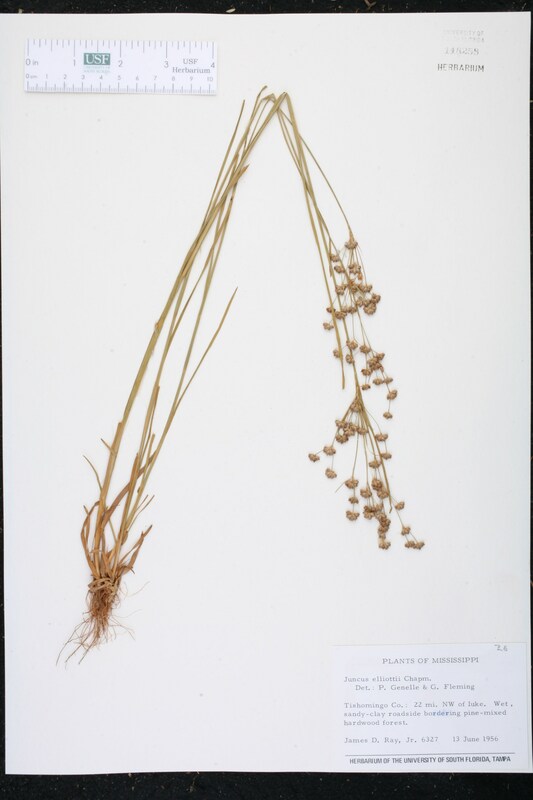 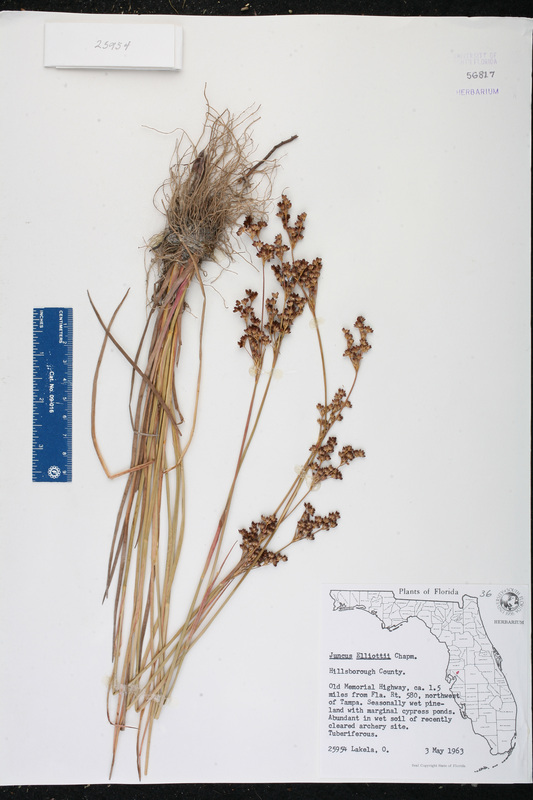 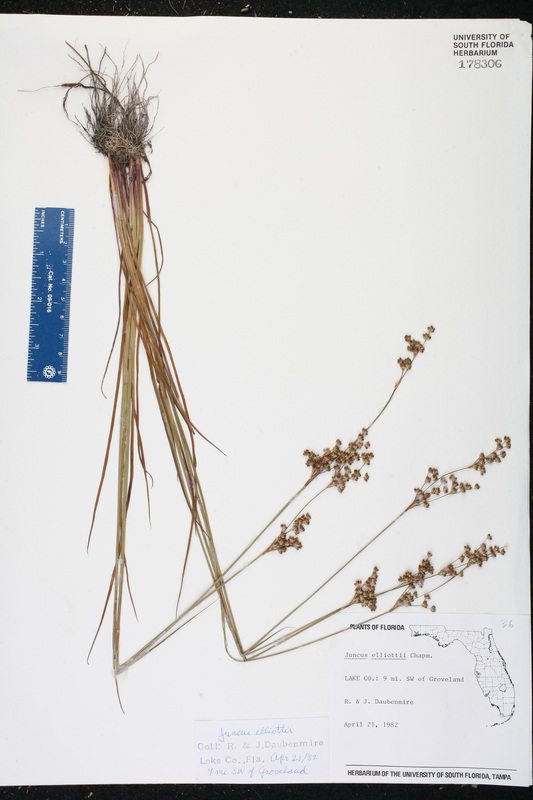 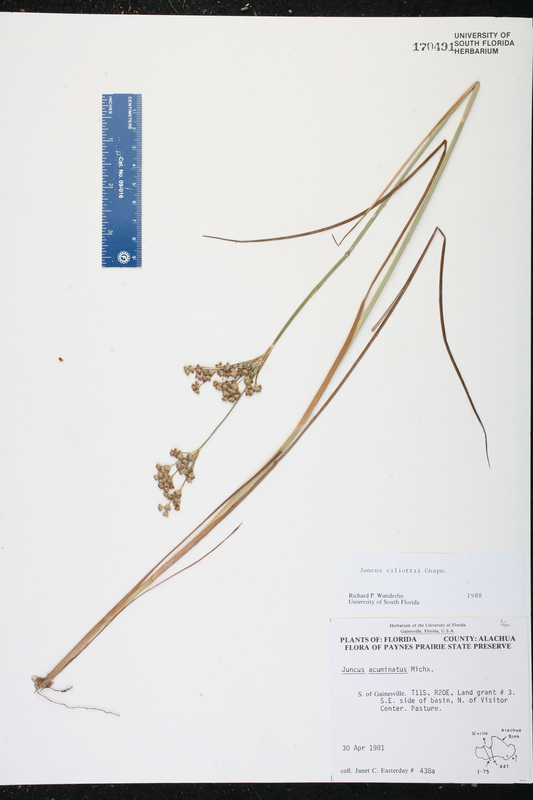 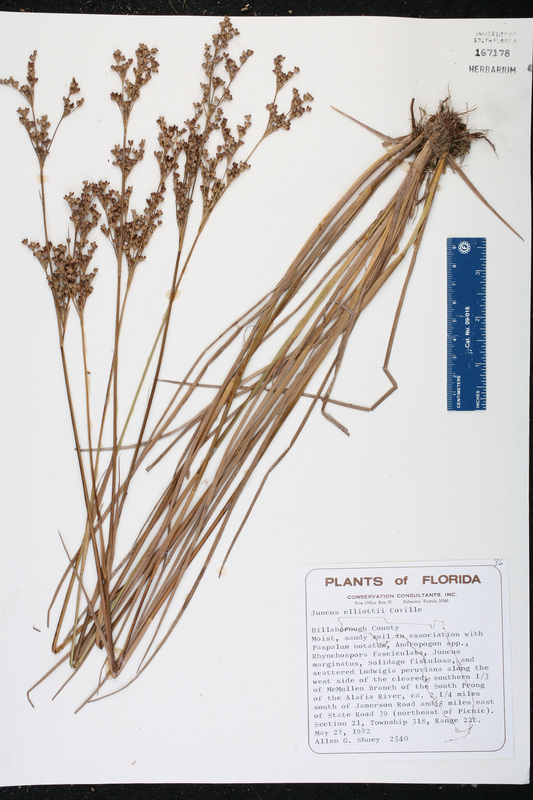 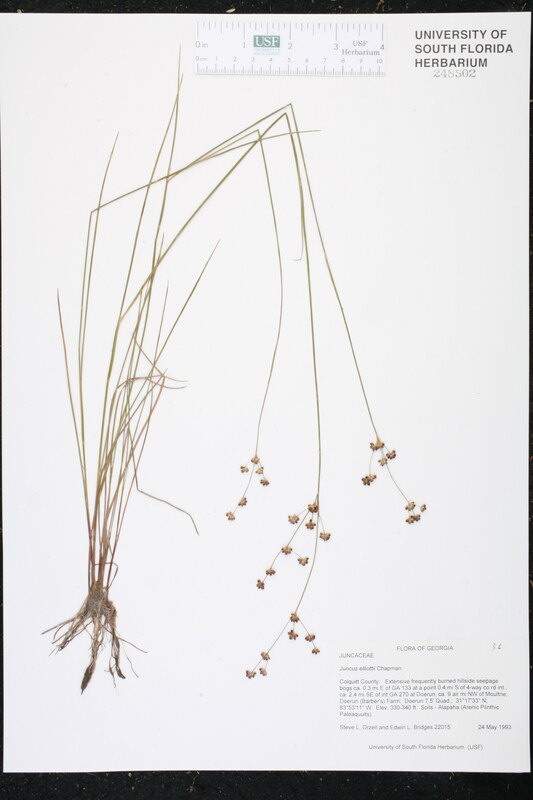 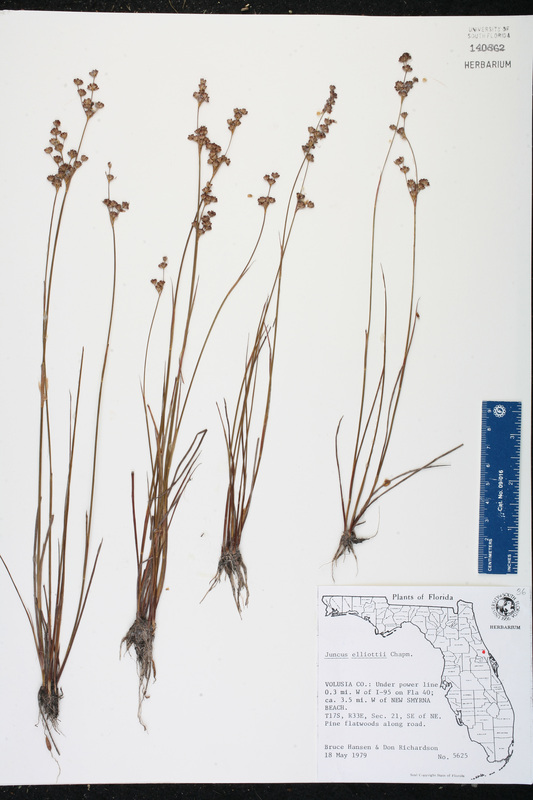 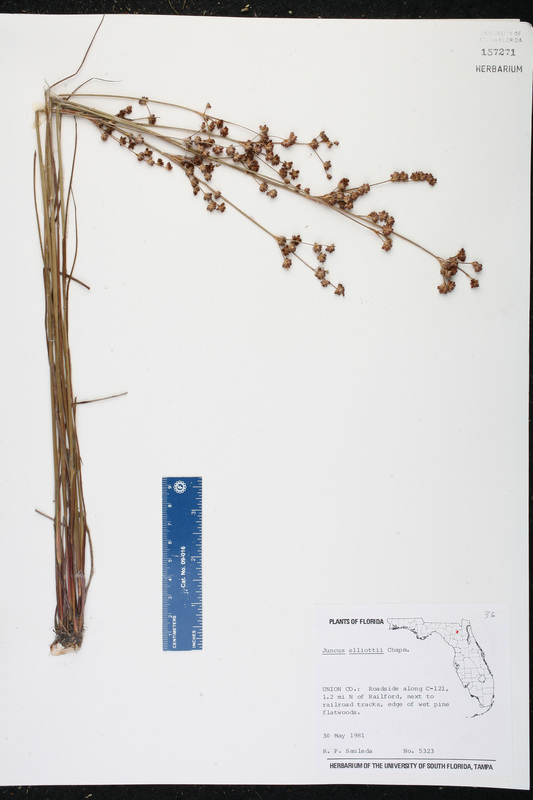 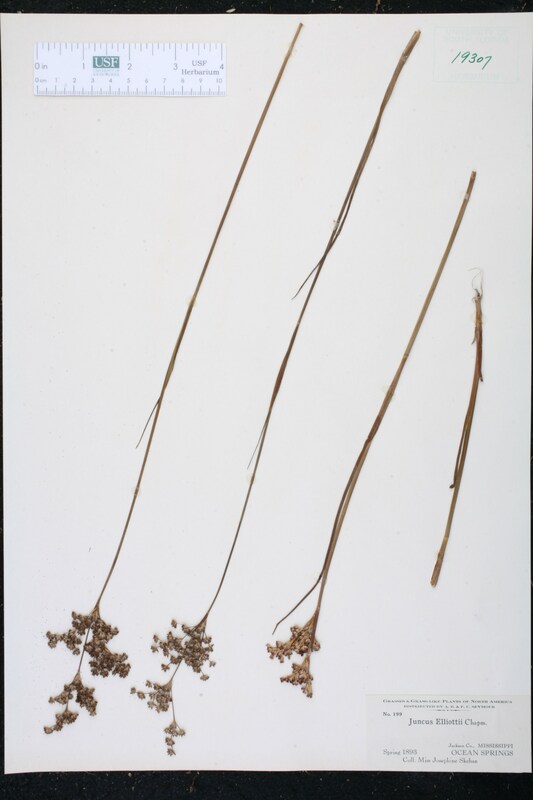 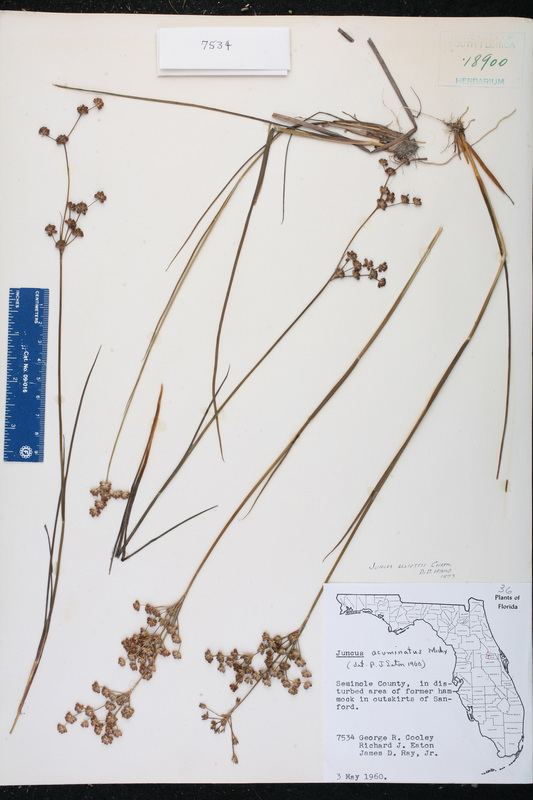 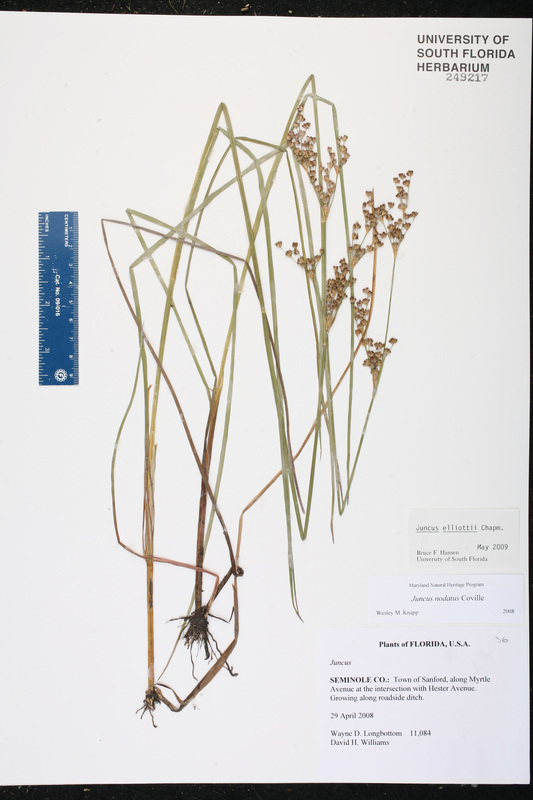 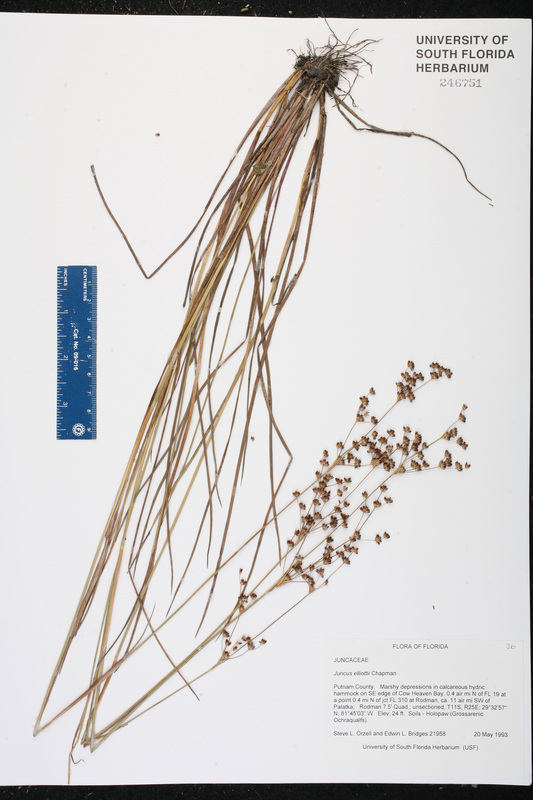 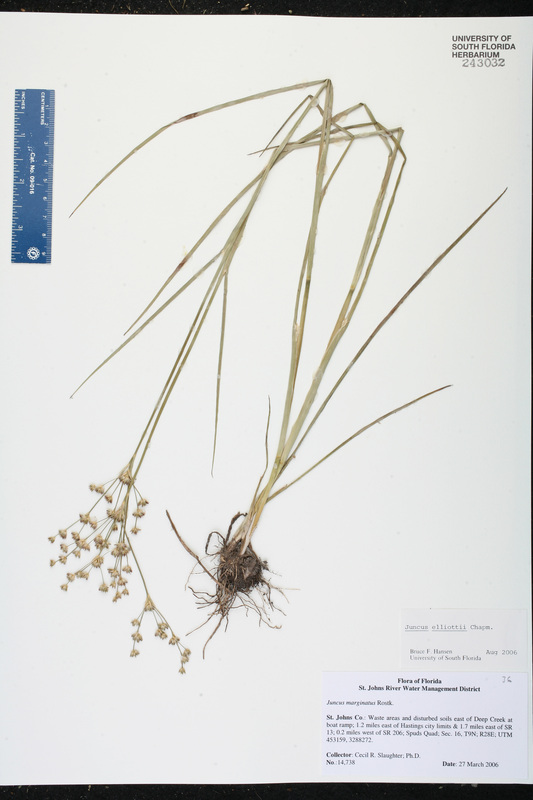 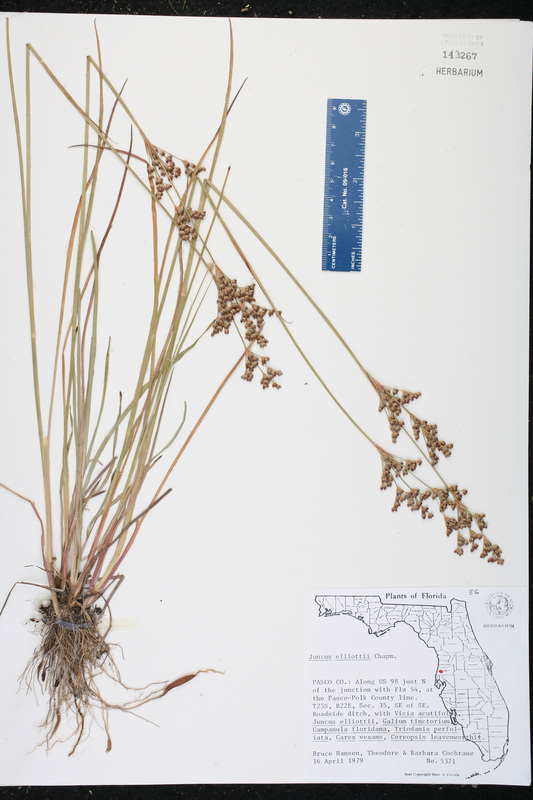 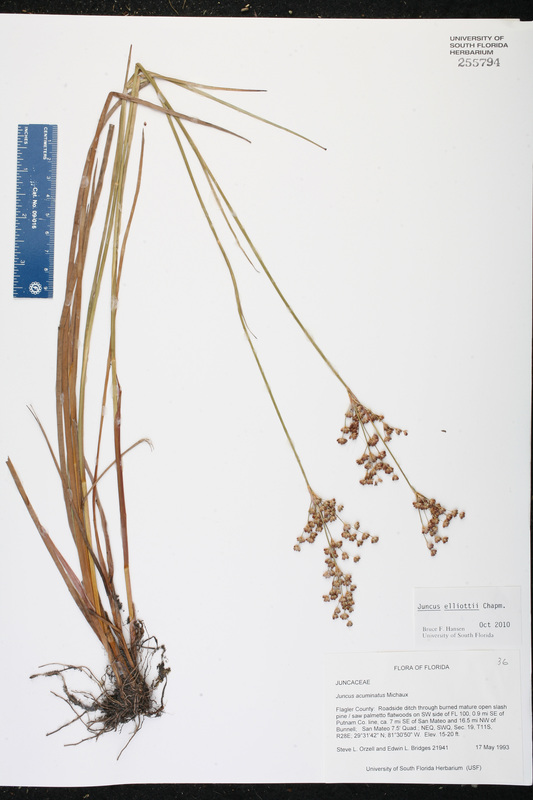 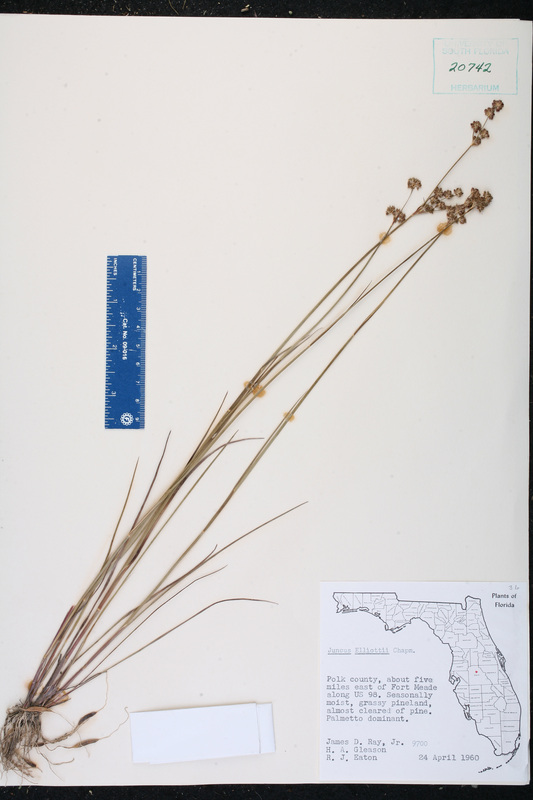 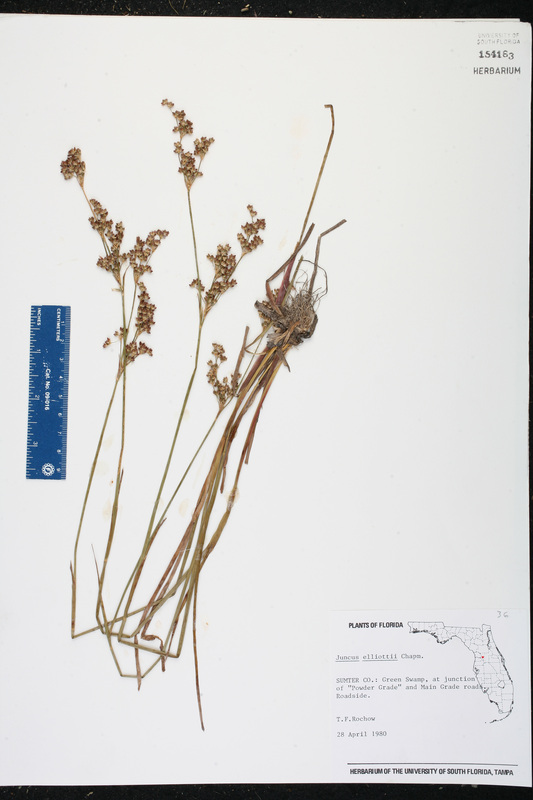 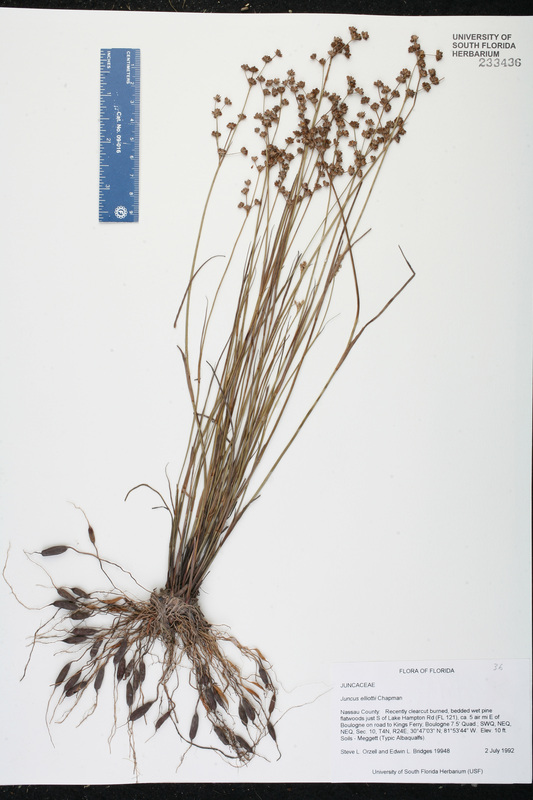 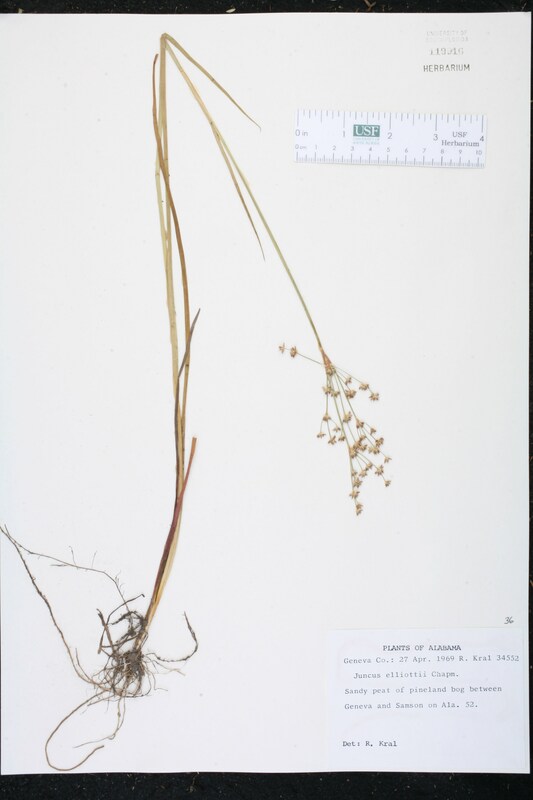 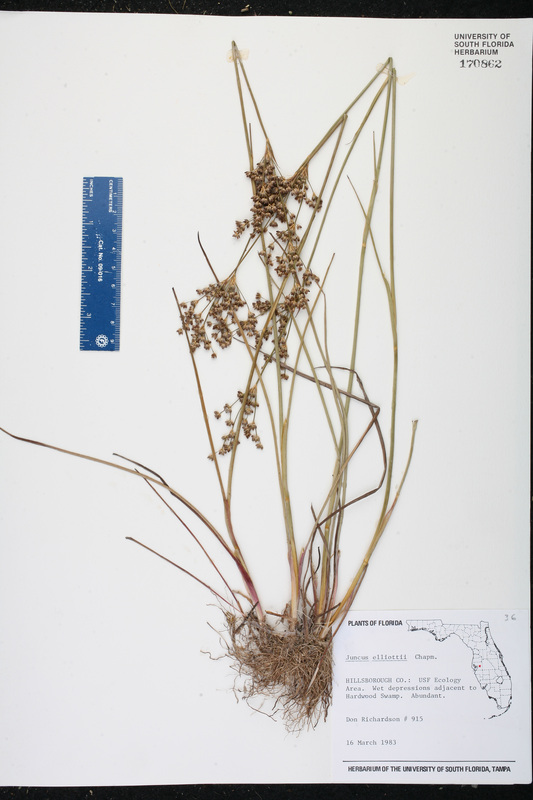 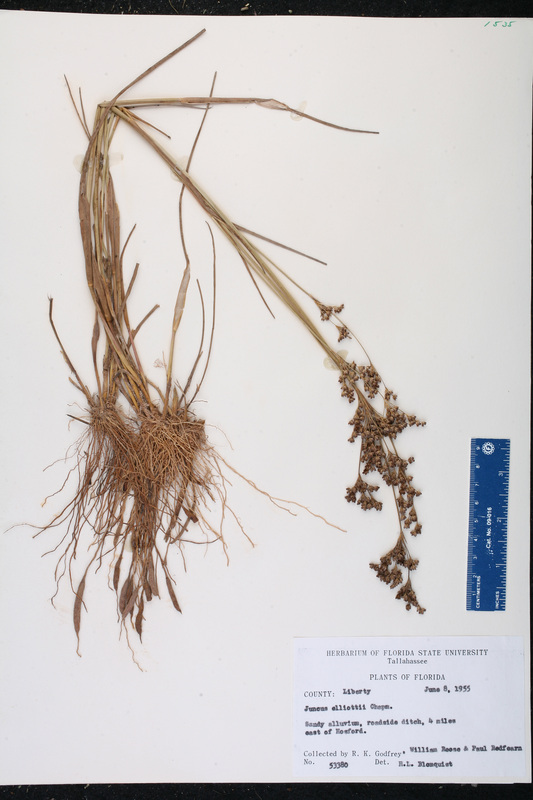 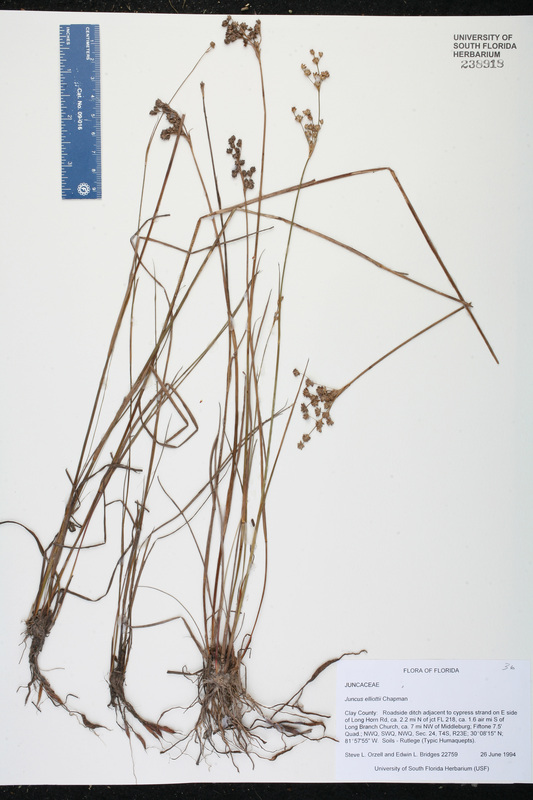 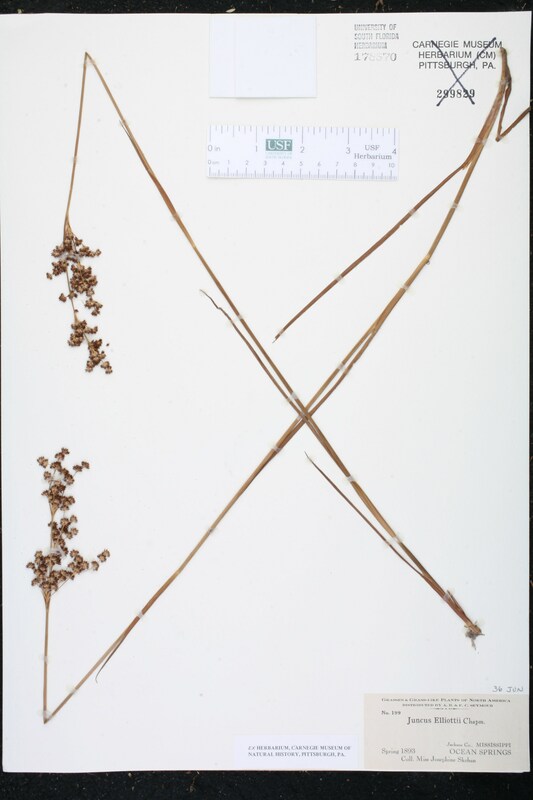 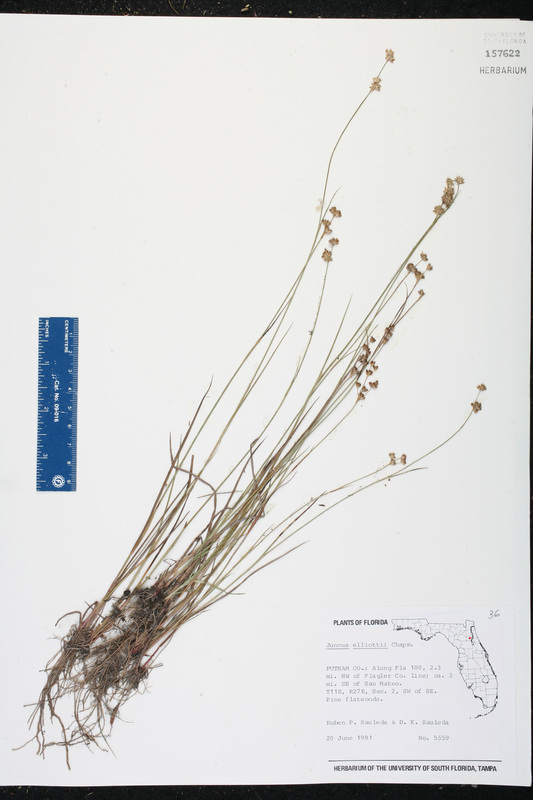 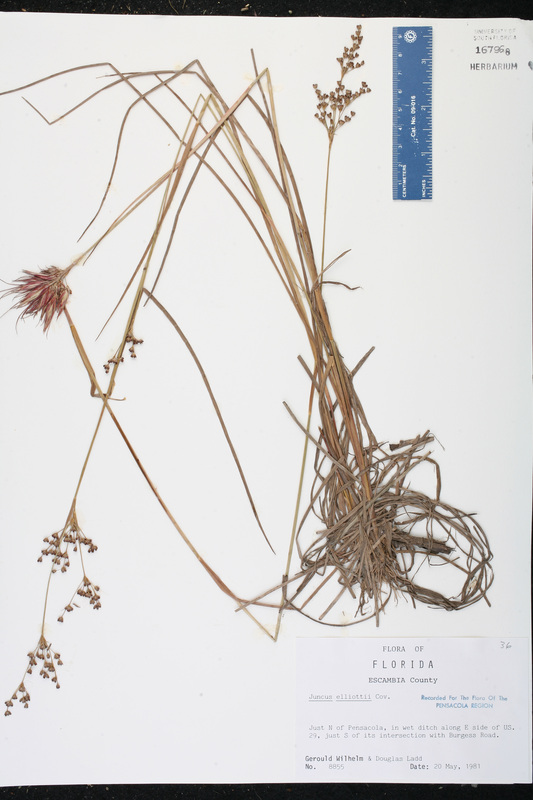 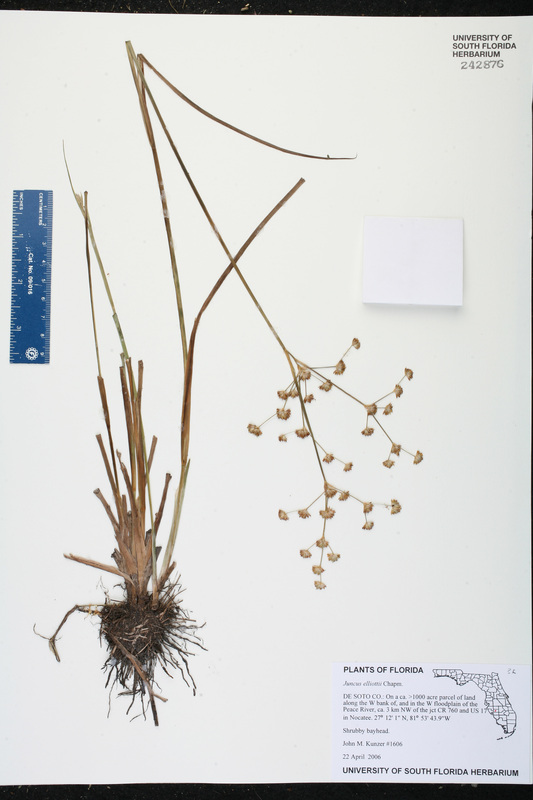 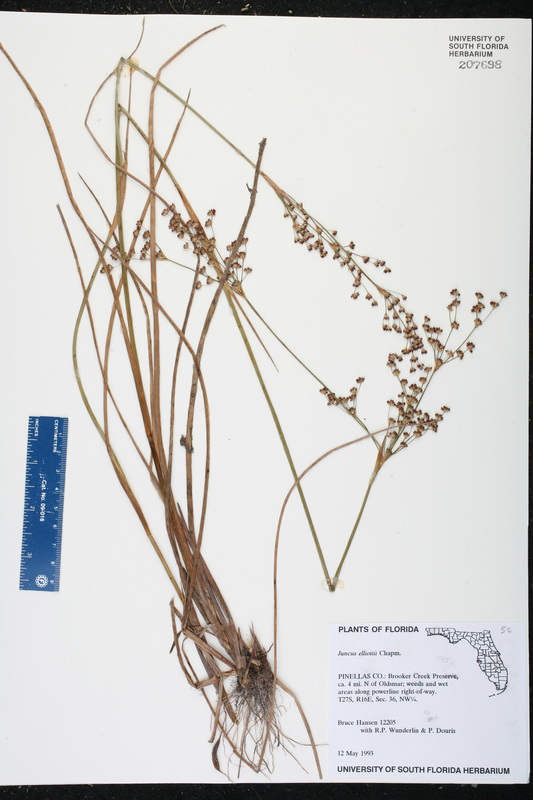 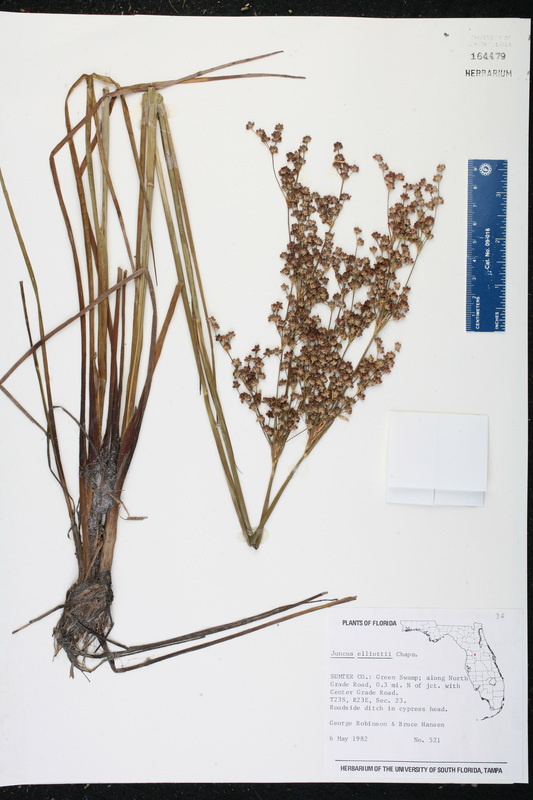 Citation JUNCUS ELLIOTTII Chapman, Fl. 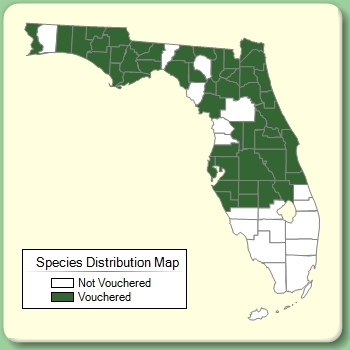 South. 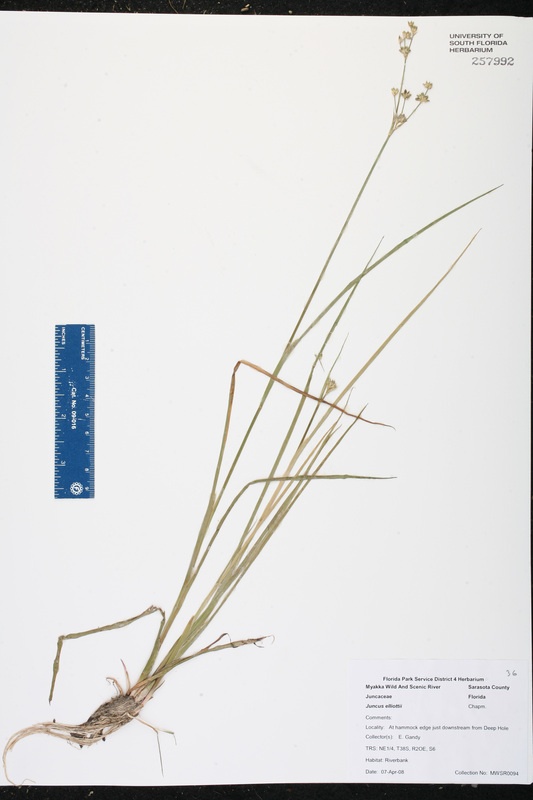 U.S. 494. 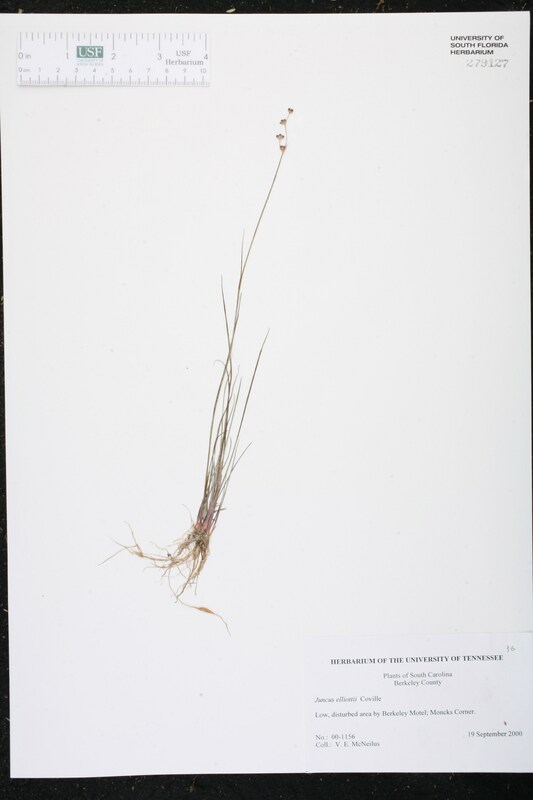 1860. 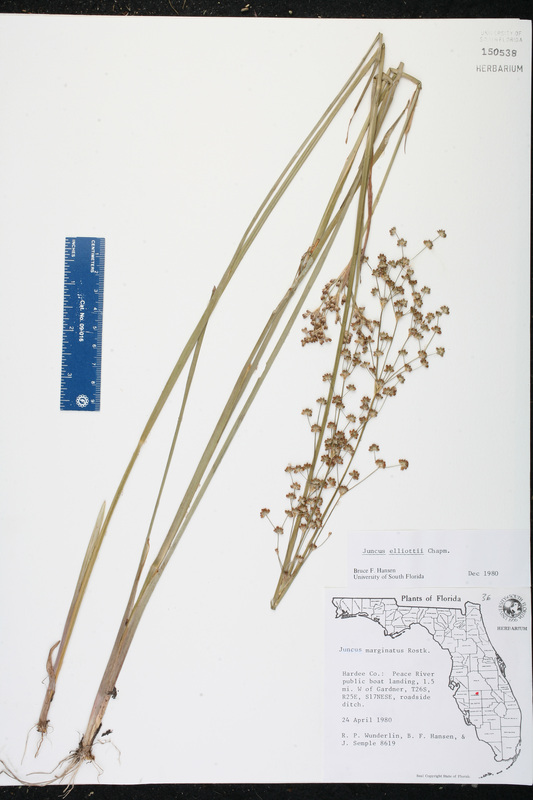 USA Florida Lake Co. 21 Apr 1982 R. Daubenmire s.n. 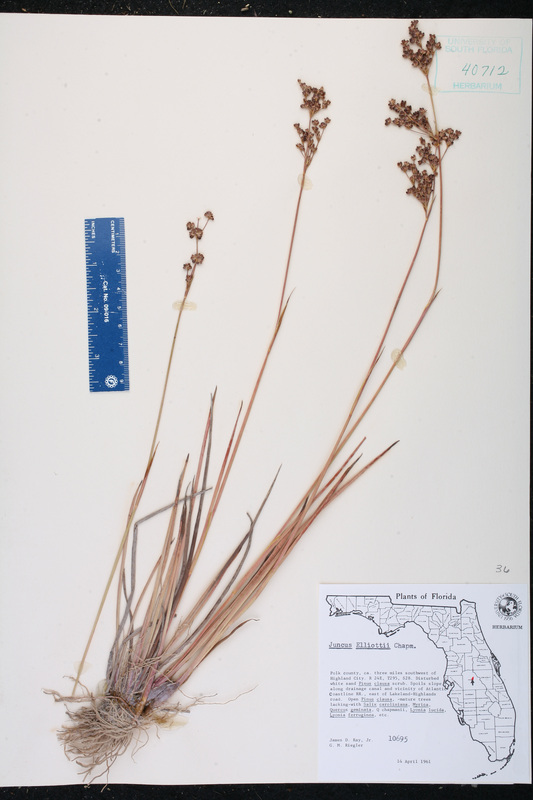 USA Florida Sumter Co. 28 Apr 1980 T. F. Rochow s.n.